do you trust the chamber? .. So just what is it about our images that attracts rampant plagiarism? It keeps happening. .. The images on these pages are just snapshots to illustrate this blog. This is a non commercial blog. .. There is a creative commons attribution note in the sidebar. Whenever asked we have granted permission to use attributed images. .. We've just been informed that the nefarious staff at the WEST YELLOWSTONE CHAMBER OF COMMERCE or, their web site trolls have stolen the above image. It's been up on the web for nearly two months. Who put it up? Where did they get the image? .. This image along with other, (stolen?) 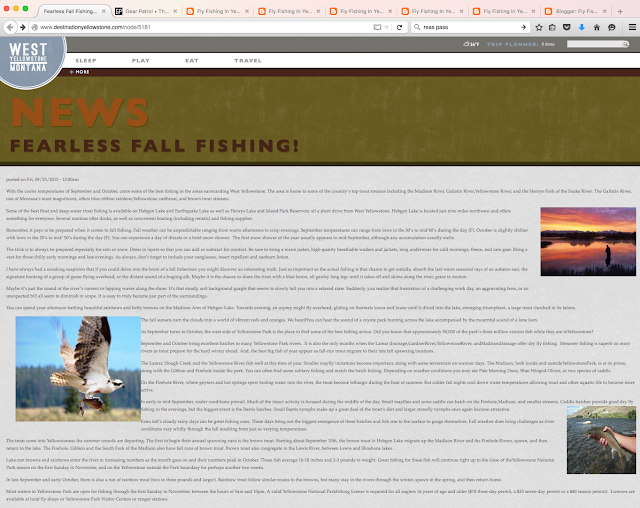 images is included on their page entitled "Fearless Fall Fishing." 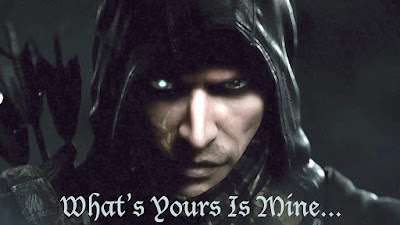 They are fearless in their theft, without permission, of the image. We wonder if they have stolen your images? Just what is fearless about Fall fishing? .. Hell's Bells, the fish was caught in early July. Is that the "FALL" of this chamber of commerce? Who writes this tripe? .. We have to wonder about the honesty and integrity of the local chamber if they are up to this sort of blatant disregard of artistic and intellectual property. .. We have to wonder just who is in charge of the due diligence department. We even wonder if they have one. .. Is this the only way they know to promote themselves and make money for their members? Selling what is not theirs? .. C'mon, even if it is just a piddly and nonsensical little chamber of commerce: what sort of irresponsible and lazy executive board allows this? .. What sort of disinformation is on a site that steals personal property. Who are the members of this organization that they would sanction this sort of skulduggery? .. What sort of other misinformation is spread across the site when it comes to lodging, restaurants, vacation opportunities, fishing, etc.? What images are they using to promote their business members? Do they have pretty pictures stolen from Alaska? 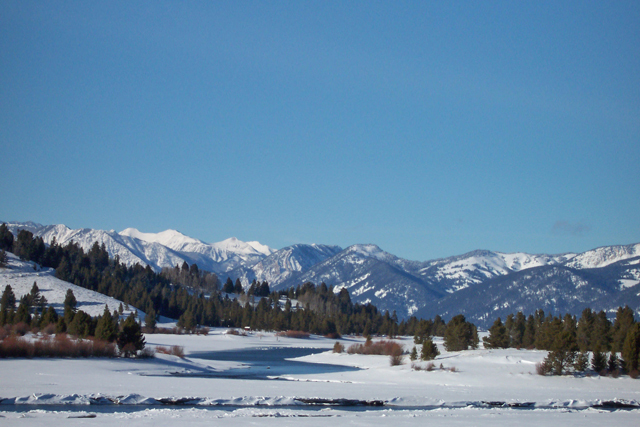 How about Jackson, Wyoming? .. Can you believe anything that they have on their site? Where did they get the images that they are using? Are the fish pictures from Colorado? Are the elk pictures from Rocky Mountain National Park? .. They even have the audacity to copyright the purloined content. They invade your privacy by collecting information from site visitors. They stuff cookies on your computer. Yet they certainly do not monitor the veracity of their content. .. We suppose that self promotion, exaggerated hyperbole, theft, and misinformation are standard business practices in a tourist town like ours. It's a damned shame and they should be ashamed. .. We wonder if there is any oversight by the members of the chamber of commerce. We wonder if the feather merchants in town even care. Do they supply information and images? Can you trust it? Do they pay money to support this sort of behavior? .. We have to suspect that the banks, fly shops, motels, restaurants, trinket stores, pubs, and gas stations sanction the misbehavior of their chamber of commerce. We probably have to be suspicious of the members as well as their organization - don't we? .. We can only wonder at what other misinformation or theft is propagated by the laziness and lack of responsibility exhibited by this sort of behavior. Do they not know how to take their own pictures? Don't their cell phones have cameras? Do they not proofread for misspelled words? Do they not care about the image they present to visitors? Probably not. .. We need to know if the West Yellowstone Town Council is proud to have this sort of organization operating within the city limits. OOPS - there's not a whit difference between the two - is there? .. We have received no request to use the image. We have received no response to our emails. We have received no apology. The absolute gall of the individuals involved should give you some sort of idea about our town's business cartel. .. We are ashamed to live in a community that allows and fosters this kind of illegal and immoral behavior. .. We apologize to our thousands of faithful readers for this post. We also apologize for the next few days without a post as we will be leaving this up so that all of our readers know just what is going on in West Yellowstone. Neighbors stealing from neighbors: what do they do to visitors? UNALTERED SCREEN SHOT USED WITHOUT PERMISSION !!! .. 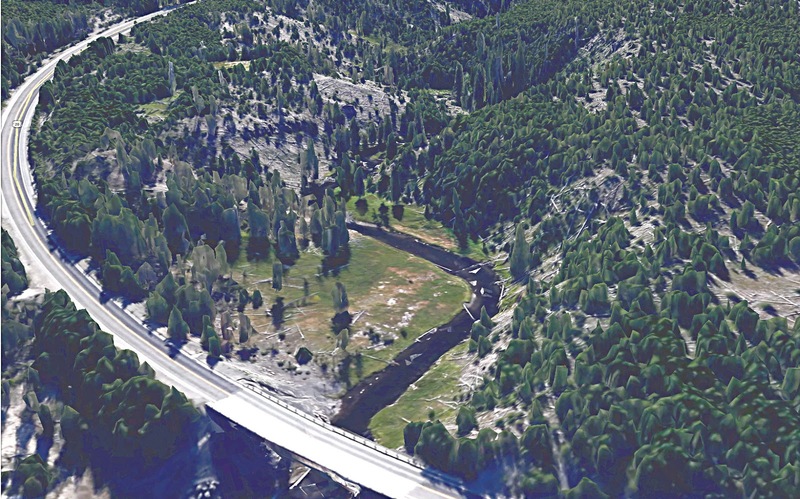 Neighborhood tradition separates the South Fork of the Madison River into two segments: above, and below the highway. This separation covers part of the middle course and all of the lower course of the river. .. Hydrologically and physiographically there are four distinct river segments: never mind though, above and below works just fine. .. With the snow on the ground many of the neighbors are headed below the road for the chance at some of the largest fish to enter the tributaries of the upper Madison River drainage. .. Prospecting and observation are the modes of fishing right now. Only the smartest local guides abandon their paying sports for the opportunity to locate and prick one of the legendary South Fork fish. .. In days of yore there was a foot of snow, (or more,) on the trails by Halloween night. Snowmachines were the mode of transportation. Giant trout were the regular quary. It was a neighborhood thing. .. Only recently have a few brave souls from foreign lands and distant metropolises ventured into the South Fork drainage: with mixed poor results. .. Below the road some of the best access is through private land: it's a neighborhood thing. Above the road most of the intertwined trails lead to dead ends or back where you started; it's a neighborhood thing. .. 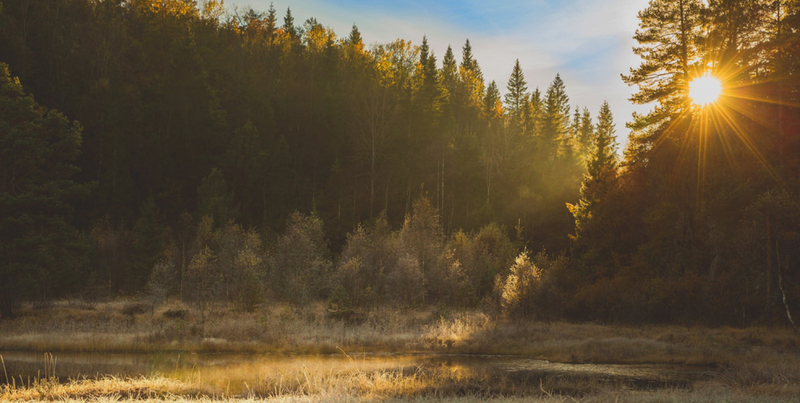 Thick willows, steep banks, soggy marshes, abandoned railroad trestles, deadfall lodgepole pines, and deep grass guard the access to the best hides and holes: it's a neighborhood thing. .. The big fish that run up this little stream usually start about now. The best catching, i.e., fish density, is the last week or so of the open season. In another two or three weeks. .. The old stage stop on the low stage road, above the highway, provides good access. The wide spots along Reas Pass Canyon on the old railroad grade are sometimes snow free. Snowmobiles are possible right now but there are long stretches of bare ground to traverse. .. We'll wait a week or so and visit some of the local neighbors. Chat a spell and then visit the stream. .. The neighbors have finally abandoned their baggy shorts and donned their leaky waders. It looks like Autumn is here to stay. .. After our brief spate of warm days the fish and fishers have returned to seasonal behaviors. Fishers on the Firehole River have returned to the gentleman's trout fishing by enjoying a late wake-up call and a third cup of coffee. .. The little baetids are late risers, (oops a pun,) too. Be on the water of the friendly little stream by about 10:00 AM and pick your spot if you need to watch your fly being gobbled by the fish. .. 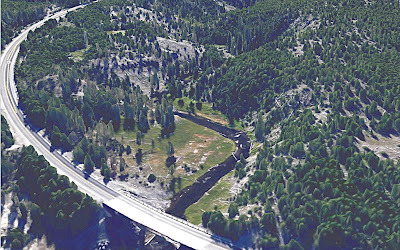 There are a lot of 10" fish eager to accommodate you on the Firehole River. Surface flies in the size 18 - 22 range will give you and the fish some entertaining moments. .. We have overheard a good deal of Latin being spouted along the river and are befuddled, as usual, when any foreign language is being used with such fluency. 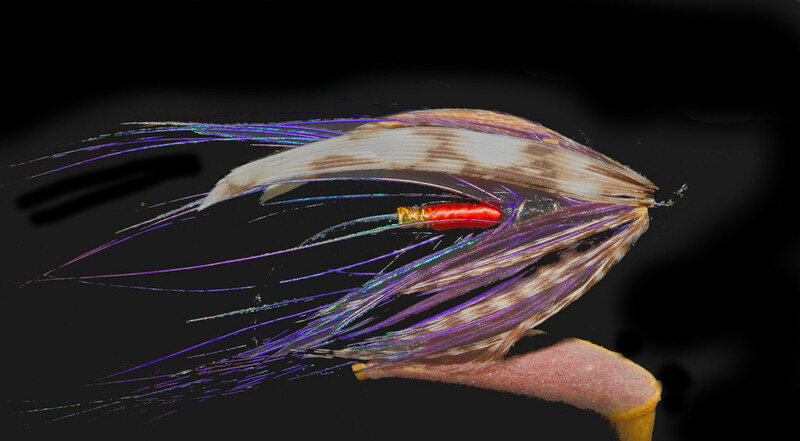 ... "Baetis is probably the most misidentified genus in the angler's mayfly world. 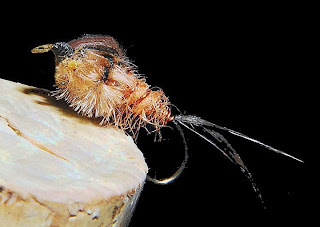 Many fly anglers see anything too small to imitate with a size 16 Adams and call it Baetis. In reality, Baetis is the most prominent of several very similar abundant genera in the family Baetidae. ... It seems every species in the family is perpetually being reclassified, and identifying any of them, even to genus level, is difficult. The angler who wants to be accurate has two choices. Most people call these flies "Blue-Winged Olives," a name which has lost all meaning because people apply it to several dozen species which mostly have neither blue wings nor olive bodies. ... It's better to just call them "little (whatever color they are) mayflies." The other good choice is to call them "Baetids," the general Latin name for members of the Baetidae family, unless you've had them scrutinized under a microscope. Most of the specimens on this site can't be keyed below the family level from the pictures. So the next time a fishing buddy identifies a little greenish mayfly from a distance as Baetis vagans, just smile and nod..."
.. We do a lot of smiling and nodding. .. The crowds are still dense along the Madison River. Guides and counter help are getting hoarse with their favorite "GOOD FISH" phrase. We've often wondered what a "BAD FISH" would look like. .. The catching has been excellent this Autumn, (we've said that before.) 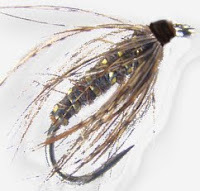 Streamer fishing has picked up a bit but the giant soft hackle is still king for the runner fishers. .. The neighbors have fun with this time of year and fish the Halloween flies as a lark - catch fish too. Last year we posted a summary of seasonal flies. It generated hits that skewed our meager statistics. We re-post it below in the vain attempt to do it again. 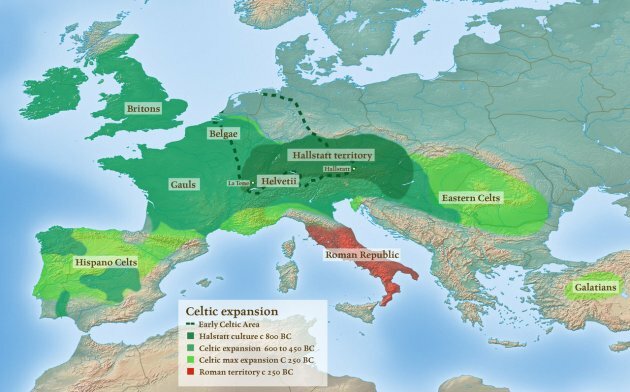 .. At one time in the distant past the Celtic peoples traveled and lived across most of what we call today, Europe. .. They were far more attuned to the world around them than we are today. They celebrated seasons with festivals and ascribed social behaviors to the festivals - some were pretty juicy. .. In the modern popular mind Celtic and Gaelic are synonyms and limited to contemporary Irish peoples. This is far from the reality: one is a language dialect the other is widespread cultural tradition embracing large populations of prehistoric Europe. .. Since the Celtic tribes reckoned time by counting nights rather than days this is the approximate equivalent of our New Year's Eve. Pretty big stuff indeed as the year became darker than lighter. .. Rather than try to obliterate native peoples' customs and beliefs, the pope instructed his missionaries to use them: if a group of people worshiped a tree, rather than cut it down, he advised them to consecrate it to Christ and allow its continued worship. 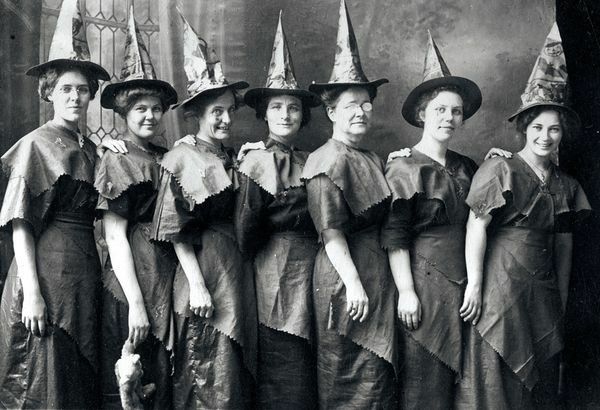 .. Quickly Samhain became the church holiday of All Hallows' Eve. Not a bad job of interpolation by the early Christian missionaries. .. Many great events happen during the transition from Summer to Winter: the harvest is gathered, firewood is gathered, fields are prepared and fertilized for the fallow winter, laying bye winter stores, repairing dwellings, and of course pregnancy origination so that birthing could be accompanied by plenty during the light and warm part of the year. .. Just imagine the rituals that could accompany these situations - boy were they fine and full of fundamental essentials. .. And for the fly fisher? Here it signals the end of fishing in Yellowstone National Park. The days are very short, the fishing map will die, trout will be left to spawn in peace, and the fish caught during this past year will grow with each retelling of the tales. .. The catching of fertile trout at this time of year is something we all do. Some of us are reminded of ancient traditions and symbologies. Some of us just catch the fish and call it good. There is, today, a growing group of fishers and fly tiers who consciously make the effort to create and fish "Halloween Flies." .. Happily these offerings capture fish as good as, or better than the staid exotics offered by feather merchants and whip-finish gurus. .. Tie them now and fish them on the appropriate days and a certain magic will ensue. At least you will feel part of something ancient. 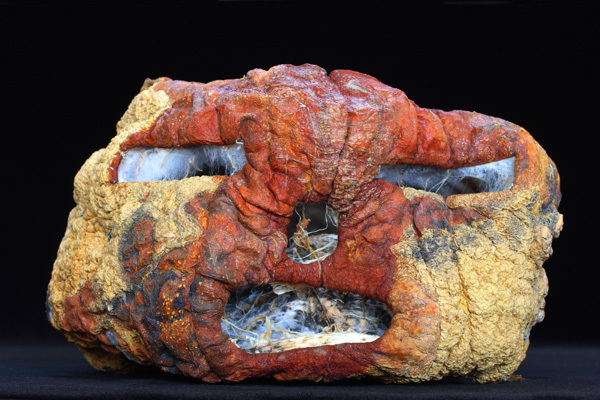 Not as ancient as trout but more ancient than the modern pretenders to the traditions of Halloween. .. The Halloween Muddler appears quite often in the writings of sensitive iconoclasts of the season. 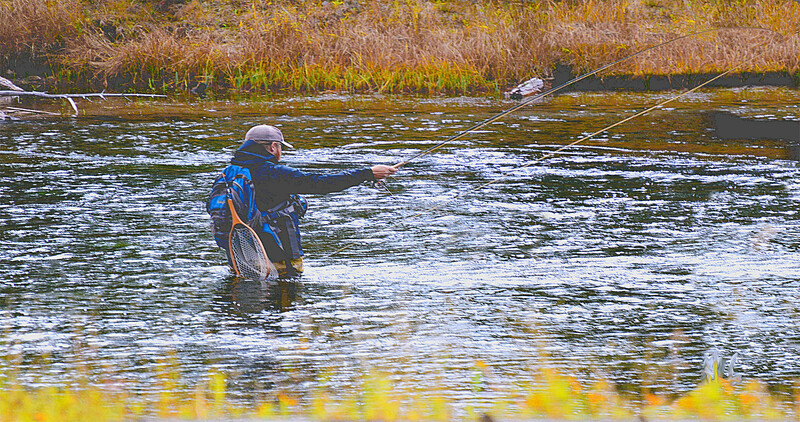 One of the finest examples was pictured last year by Home Waters: A fly Fishing Life. Drop by for both insight and inspiration. .. One of the many favorites that we drag out each year is the Speckled Girdle Bug - Halloween. It fits our mindset for what a trout should like to eat this time of year. It employs wiggly things, contrasting colors, and has size enough to be attractive or threatening - both either good or bad. It is well illustrated by the Frying Pan Anglers site: a site with both exquisite traditional patterns and innovative fish foolers.
. Both ourselves and many of the neighbors will stick with a rubber legs fly for much of the fall runner fishing in the Madison River. 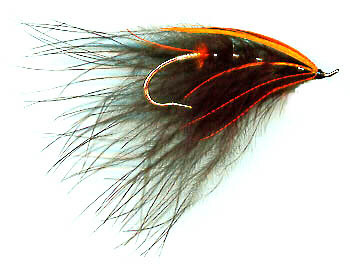 .. Long tailed streamers are in vogue right now; both across the fly fishing world and in our neighborhood. We use them and like them. They even take their fair share of fish. .. One that has burst upon the scene in the last year is the Halloween Bugger Leech from Fly Fish Food. It's an impressionistic style with colors that can vary from one tyer to another. Sometimes it's a sparsely tied fly and other times it's a full bodied bruiser. Pick your poison and fling away - you'll catch a few. .. The names of these derivative flies are usually indicative of the base origin of the flies for Halloween fishing. .. For instance it's not too hard to imagine what a Halloween Bugger looks like without even seeing it. The colors are automatic, (of course,) and the size is one that local knowledge will dictate. .. Happily Lance Egan has provided us with a fine image and tying instructions. We haven't used many cone head flies but this one is getting a workout this year for sure. 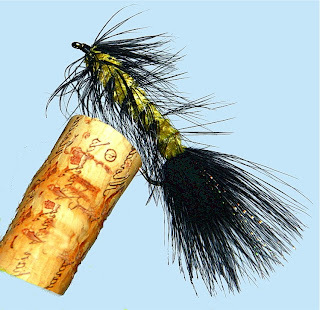 .. A Halloween fly that incorporates all the nifty and goofy tricks of large rubber legs and woolly bugger flies is offered for sale by the California Fly Shop: the Beldar Rubber Leg Bugger Trout Fly Halloween. 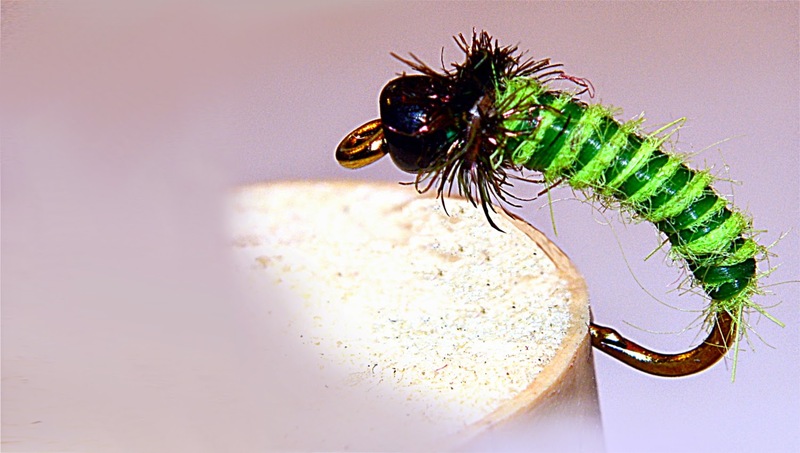 .. A long two-toned tail is nailed to a multicolored Woolly Bugger. The Yellow, Orange, and black buggerness is augmented with some yellow rubber legs and just a bit of twinkle in the form of flash in the tail. It may look like a nightmare or it may look like trout food. The cone head should get it down to where the submarines are berthed. .. Those folks that choose to use a rod that is one third the width of the creek that they are fishing should complete their outfit with a spey style fly. .. Our language is dynamic and quirky. It is complicated and muddled by marketeers and glad handed sales forces across the nation. They have turned two handed rods in to spey rods and ignored spey casting. They have turned spey style flies into spey flies. Bless the contemporary fly fisher for encouraging this bit of retail legerdemain. .. 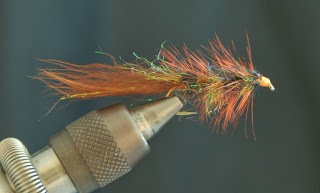 The Halloween Spey is a modern derivative of an old style that is tied by using techniques from the Scottish and Dee patterns. .. This particular fly is found on a remaining fragment of the Speyfly Primer. The recipe is given on the page and there are other similar patterns for this time of year - or any time of year. It uses modern substitutes and traditional techniques that should send the psyche back in time. .. Certainly for those that demand the use of a two handed rod and believe that the rod makes the man on 40' wide streams; there is a Spey Fly to match the affectations of the big rod envious. 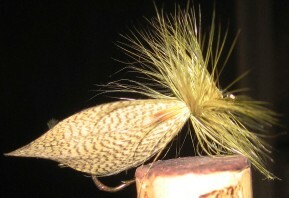 .. Of course it's called the Jack O'Lantern Spey. It is a less formalized pattern than many others and allows for personal interpretation by the fisher as tying and materials allow. 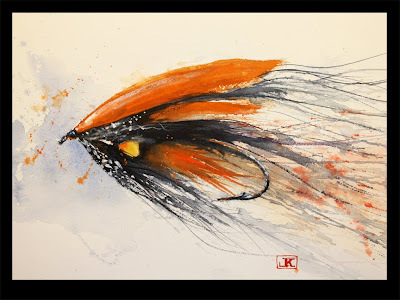 .. Jeff Kennedy rendered an image of that fly that is far finer than many being used today. 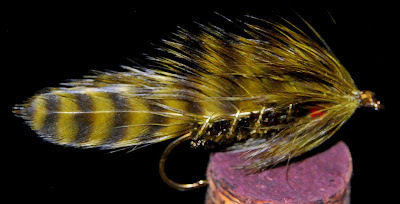 This fly will collapse into a simple two-toned streamer when fished - if correctly tied. .. The name is justly famous on both the left and right coasts of North America. Tied in small sizes it is an excellent Brook Trout fly that is held in the dark and secret corners of fly vests and folded envelopes. .. Images of actual flies are available from real life specimens since the neighbors use this fly all year. 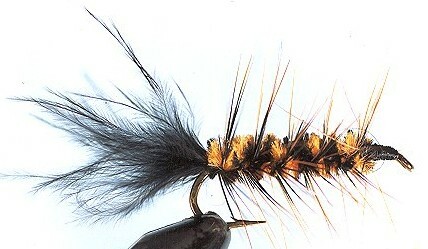 .. For years, (a couple anyway,) we've fished a hybrid fly developed by Ralph Cutter for use on the East Walker River. It's a tough fly with a good silhouette and has both internal and external action. .. It's called simply: Goblin. The pattern may be found HERE. This is a tough fly that will stand up to many a jagged edge mouth if you find a pod of them in the dark depths of the Madison River. .. Unless you are the perfect streamer fisher there is an excellent and instructive note about streamer fishing by Ralph that can be found RIGHT HERE. We mere mortals read it periodically to refresh the gray matter about the vagaries of this kind of fly fishing. .. Just as waves of Celts washed over Europe from east to west so too do waves of trout move from west to east into Yellowstone National Park. .. They travel along the stream beds even as the Celts followed the river valleys. The fish have some primeval sexual rituals as did the Celts. The fish may be galled by bright and attractive charmers that wiggle and waggle their stuff across their field of vision. .. Bonfires often lit the night as the year entered it's dark period across Europe. All the better to see you my dear. .. One of the resident neighborhood guides had a day off and so did a local boat driver. .. We all trundled down to the lowland Madison River for a change of scenery and to keep our sea legs in shape. .. It was a very long day since we, first, parked the boats and zipped up the West Fork of the Madison River for peek at some spots where submarines rest. Took a few. .. It seems that even river fish move upstream to good spawing gravels -- don't tell the local feather merchants. .. Back at the 'put-in' we reattached the boats to the vehicles, dumped them in the water after the crowds had departed and parked the rigs for those dear, kind women that shuttle the trailers up and down the river. .. It was a decidedly streamer day: dark and brooding. So too the trout. .. The boat drivers worked hard to hold position as we cast to deep holes and snags. It's a rhythm that becomes rote: big cast, big mend, strip strip, pause; strip strip, pause; hold on. .. 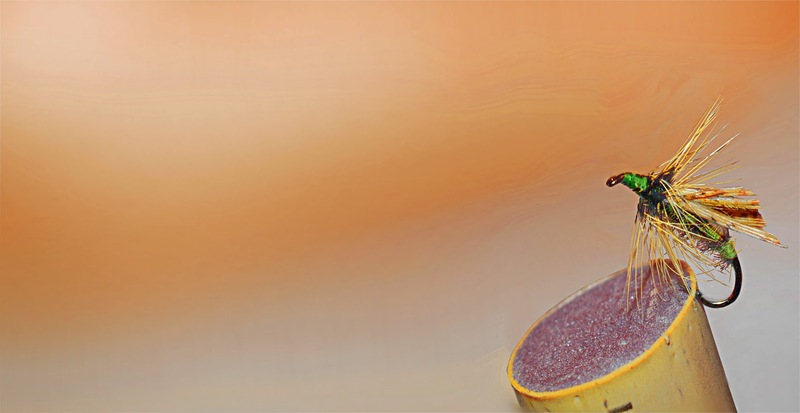 Properly aimed and executed it is as guaranteed as anything in fly fishing. We took quite a few. We parked and fished. We floated and fished. .. Floating after the crowd had left was pleasant and we saw very few boats. Shore anglers were dotted along the banks and dredging up the biggies too. Fall is in the air even in the lowlands. .. A couple of the neighbors brought along some classic salmon flies. The flies are exceptionally good for fishing and catching if not mounted in frames - surprise? .. Well, it's early. Venus is still visible out the front door. The broken low clouds are dripping a little. The counter help is still asleep. The coffee is ready. The thermos is full of hot water. Potato pancakes, sausage, eggs, and applesauce is on the table. We'll have some. It's Fall -- sort of . . . .
.. 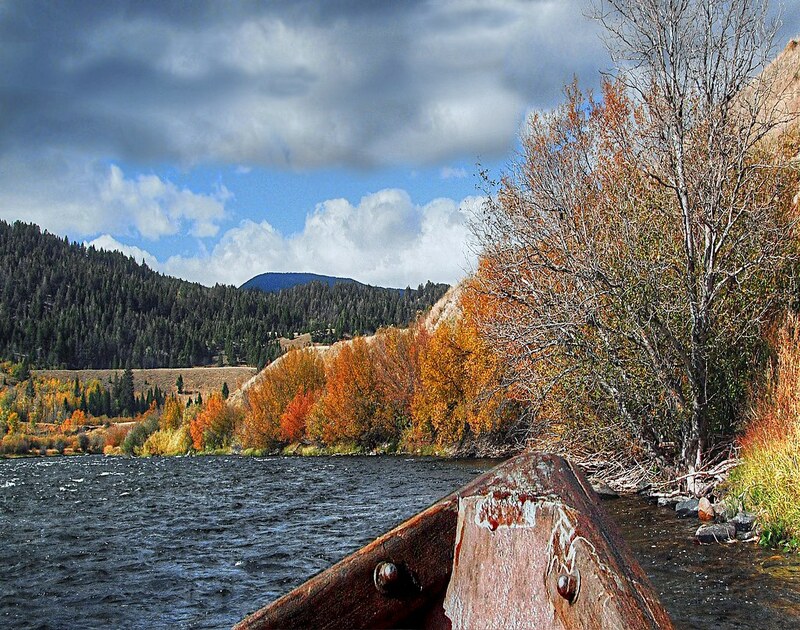 In the not too distant past only the well wrapped fishers would brave the Autumn weather of the last two weeks of fishing in Yellowstone National Park. .. Recently it's been brisk rather than bitter in the mornings. Fishers have been foregoing a second cup of coffee and trekking to the Madison River to gather up the willing runners from Hebgen Reservoir. .. Catching has been very good this Fall. Not spectacular but satisfyingly rewarding. .. Success stories and hero photos dominate the evening conversations in the local fish pubs. Of course additional beverages are required to punctuate the tales of heroic battles and ginormous fish. Often this leads to the morning fuzzies and a lack of desire to make it out of bed on the following day -- oh well! .. There are pods of fish now staging in the estuary of the South Fork of the Madison River. There are no reports of large spawners moving upstream for this late run but folks in tubes, (Brrrr,) and boats are concentrated in this arm of Hebgen Reservoir. .. 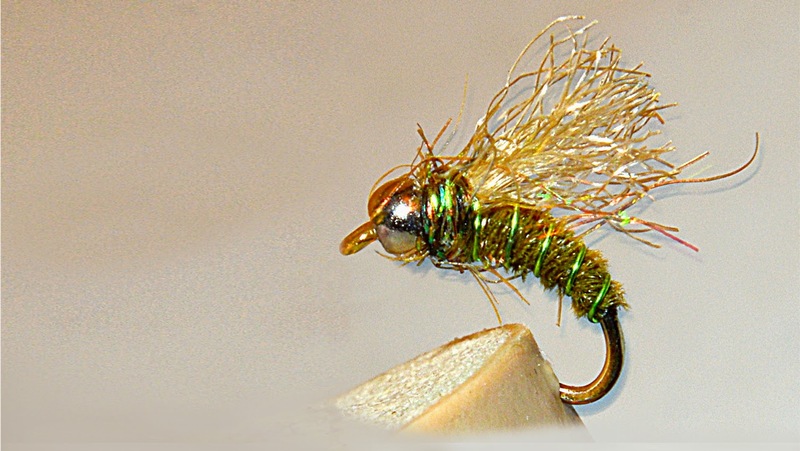 The fly of the hours still seems to be the ubiquitous soft hackle. Big as you have on the Madison River and in the reservoir. Smaller sizes are abundant on the Firehole River. .. From Biscuit Basin to Elk Island at the top of Firehole Falls the friendly river has finally seen an increase of fishers. 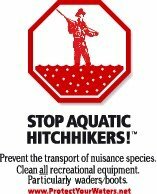 This may be due to the recent few days of low clouds, damp weather, and some dense hatches of mayflies. .. Some of the neighbors are fishing only soft hackles: sizes 6, 8, 10 for drowning and sizes 14 and 16 for floating. Plucked sparse and greased real good the softies float very well and fool even the most educated of trout. .. Should you choose to improve your catch rate for the spawners on the Madison River the neighbors have a couple of suggestions: 1.) leave the extra suds at the pub, 2.) 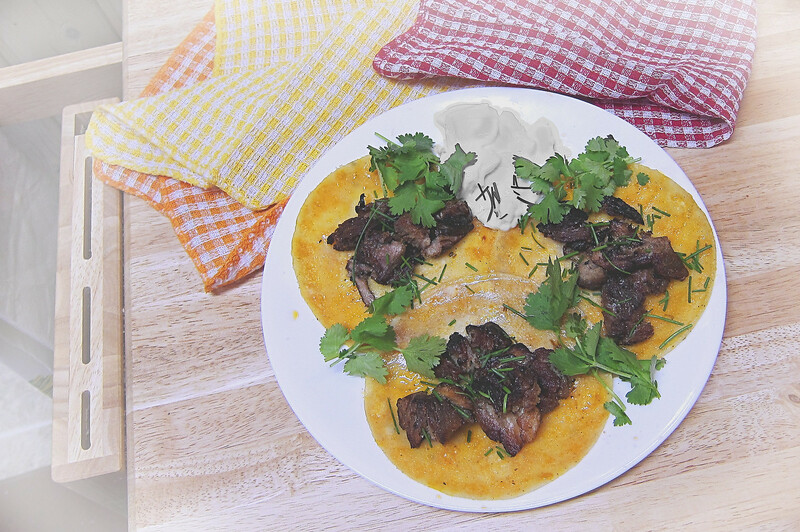 arise in the dark and eat hearty, 3.) pour the second cup of coffee in the thermos, 4.) fish the morning fog, 5.) cover water and drive, laying abed just puts off the pain of not going fishing. .. 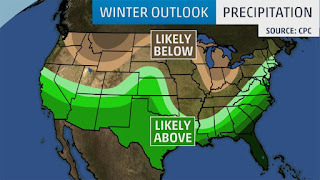 Speaking of the weather -- wha . . . ? 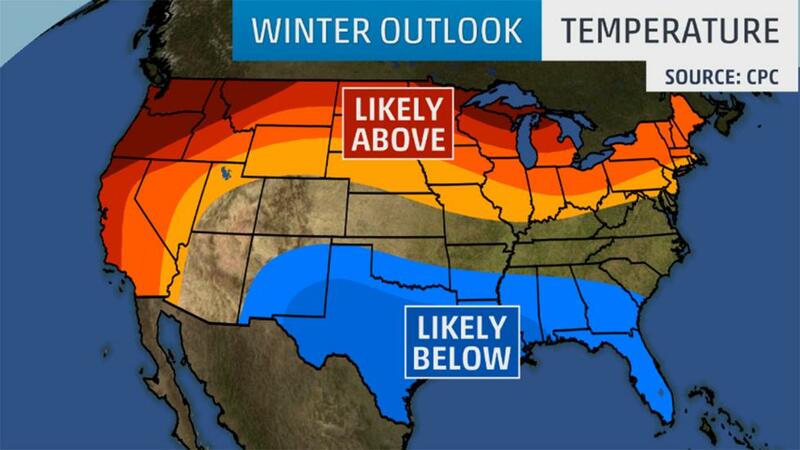 NOAA has finally committed themselves to a monster El Niño. 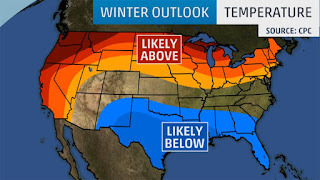 They have even told us what to expect over the winter. Depending on your fishing plans the forecast is either very good or very bad. .. Of course there is still good catching on the Gallatin River and, (a bit of a surprise,) Nez Perce Creek. 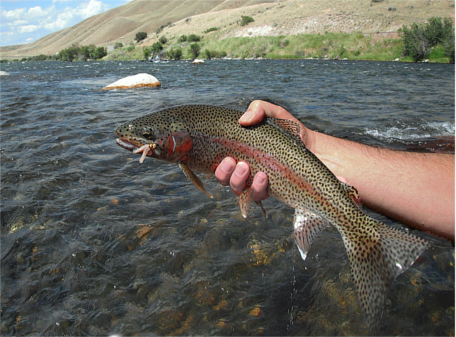 .. On the Gallatin River deeply dredged small dark streamers are gathering up some nice fish. Fish in the Fan Creek confluence meadows under the banks. Sneaking through the willows is mandatory. 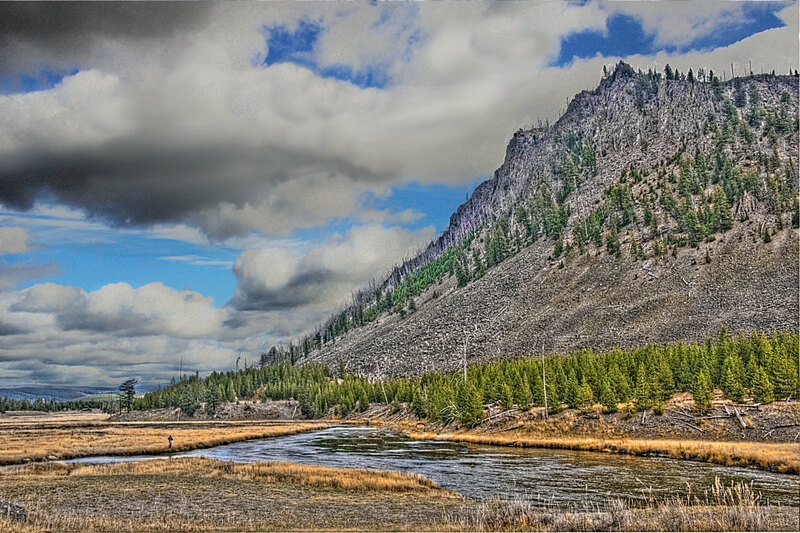 .. On Nez Perce Creek, take a short walk up the Mary Mountain Trail. Bring your friend the bear spray with you. .. Once above the lower thermal feature cluster wet a line with a Lead Wing Coachman followed by an original Feather Duster. 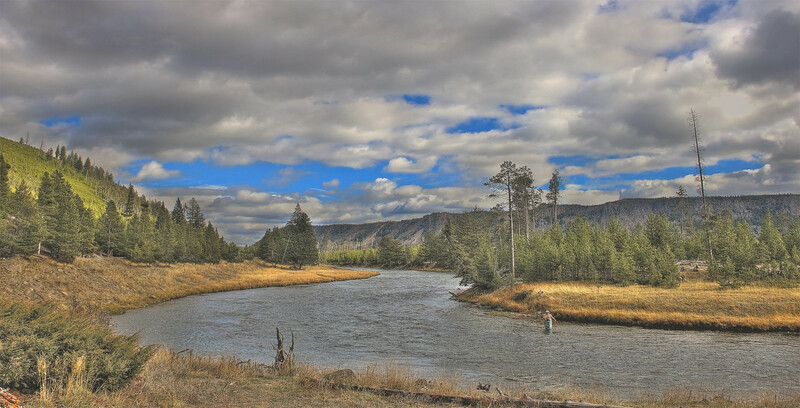 Catch some dandy fish that have run up from the Firehole River. You'll probably have to tie your own. .. We've heard rumors that the plunge pool below Gibbon Falls has some submarines berthed in the off-side foam line. The water is low enough to easily get there. Perhaps. AND JUST WHERE IS A LAKE-RUN FISH TO SPEND A BRIGHT DAY ?? .. A bass fishing enthusiast would immediately recognize this as a good place for fish to be ensconced. .. Trout fishers, of course, wade through deep holes, rattle the gravel, splash the water and then cast to where they can splash down a heavy wet streamer with a double haul. It's probably the fault of certified casting instructors. .. Guess they don't want to chance losing a fly. Bless their hearts. .. On November 2, 2015 the majority of the entrances in Yellowstone National Park will close for the season. Get your fishing in now. .. We've had a very gentle Autumn. The next week or so, (yes, including the weekend,) will be altogether too nice. Interestingly elbows are sparse on the Firehole River -- at the moment. .. 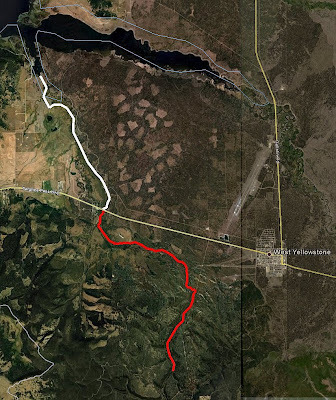 The Madison River is still being loved to death by folks seeking the submarines from Hebgen Reservoir. .. The afternoon clouds have been dense enough to keep the smallest mayflies happy but not so dense that the caddis flies are bashful. .. The Firehole River is at it's most enjoyable best right now. The surprising weather seems to have scared away the foul-weather fishers and the poor little trout are lonely. .. Even the big fish sanctuary between the bridge and the Kepler Cascades is devoid of fishers. 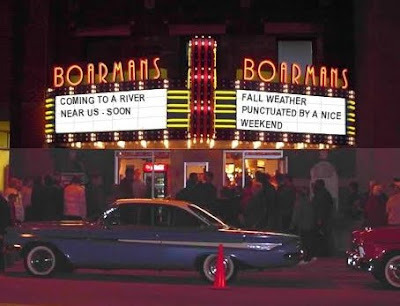 Such a strange moment in time for this sweet and friendly river. The neighbors are loving it. .. In addition to the floatable flies a couple of neighborhood old favorite sinkers have made their reappearance. .. The "Neon Whamme." and the "Rock Worm" have been added to the ubiquitous soft hackle and flymph arsenal. .. The Fish in the Firehole River have colored up nicely this fall and there are some lovely hero shots on cell phones - if you're into watching a fish gasp for oxygen. ..The Brookies of the Firehole River, (above the cascades,) are dazzling in their fall finery. They get so little attention that they have started jumping into waders just to show their appreciation to any fisher that happens by. Bless their little pea-brained souls. .. This, again, has been an easy year on the fish. The last three winters have been very gentle and recruitment is up. The Madison River is showing a very high fish density right now. .. Most folks are concentrating on the runners from Hebgen Reservoir. They use tactics and flies that scare the resident fish. Such a shame. ..Resident fish can be found in all the fishy places that water-flailing runner hunters are not. .. Soft hackles and mashed caddis flies are bringing resident fish to hand all day. .. The soft and dark waters along the bank hold the displaced residents. They are not giants but they are still hungry too. .. The kid down the block could make a fortune selling them right now. If you brought your kit you just might give it a try. .. Both resident fish and runners are enjoying soft hackles. And, both seem to be taking the giant ones as well. .. If you're up in time to see the crescent moon and Venus, then, you are awake enough to have a cuppa joe, fill the thermos, and get on the water as the dusty-rose color tickles the morning clouds. In that case, you should have the best places to yourself. Waking up before the counter help is a good feeling. .. The fish will reward you.